There is a new phenomenon in the automotive world and it is called Diminished Value. For those who haven’t heard this term, it means the loss in value a vehicle experiences after undergoing collision repairs. Land Rover models that attract more discriminating buyers suffer a great deal more diminished value than an ordinary car. Used car buyers simply won’t pay as much for a previously wrecked car so dealers, in turn, have to offer less come trade-in time. New and late model car owners expect a first-class level of service. Those expectations extend to the treatment they receive from insurance companies after their cars are wrecked by the negligence of others. Seeking fair compensation for diminished value and loss of use is part of it. You need an expert appraiser. At The St. Lucie Appraisal Company, Land Rover Diminished Value and Loss of Use claims are our specialty. Our methodology for preparing automobile diminished value appraisals is unique within the industry because we don’t rely on formulas, algorithms, auto auction results or other short cuts to determine the amount of value lost after collision repairs. Each situation is unique and the only way to provide tailor-made reports is to query the people who actually do the buying and selling of these bad Carfax vehicles – new car dealers. It is important, of course, that the dealers who participate in our surveys know full well that the subject vehicles are not for sale or available for trade. This prevents insurance companies from alleging collusion or vested interest. This approach has made our company the best at what we do – Diminished Value and Loss of Use appraisals. Magistrates and mediators alike have recognized the validity of our reports because they are comprehensive and they aren’t complicated. Insurance Company defense attorneys can instantly recognize which independent appraisals will stand up in court and advise their adjusters accordingly when it comes to offering fair settlements. We are rarely called upon to appear as expert witnesses in legal proceedings because our customers generally receive fair settlements which means fewer civil actions. Land Rover diminished value and loss of use claims should present no problems if appraisals are prepared correctly. So where does this leave the Land Rover owner when it comes to receiving fair compensation for Diminished Value and Loss of Use? The independent appraisers that use formulas and algorithms arrive at numbers that don’t remotely represent the Land Rover used car market. As for the independent appraisers that use automobile auction results, they are completely out of luck since so few high-end Land Rovers are put up for auction. 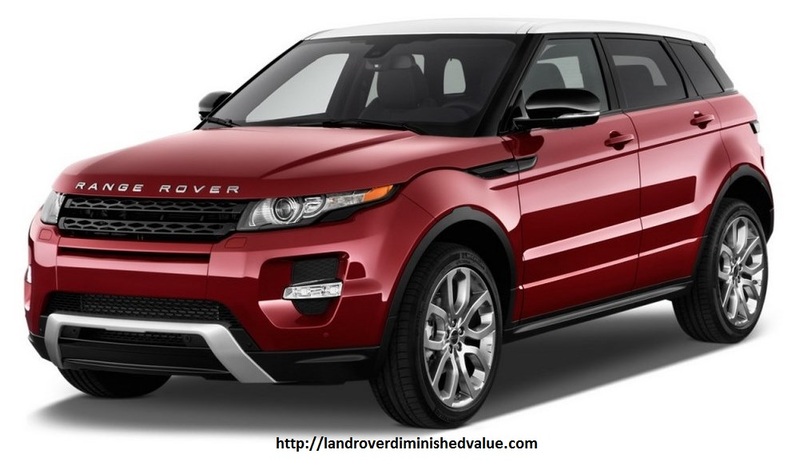 The St. Lucie Appraisal Company, despite being a small fish in the big pond of independent automobile diminished value appraisers, has gained more than our share of diminished value and loss of use requests from Land Rover owners due chiefly to word of mouth. It has been not only Land Rover owners but also the certified Land Rover collision repair shop managers who have sent their customers, friends and families to us. With regard to Loss of Use claims, it costs up to $300 per day to rent a Land Rover. Why do insurance companies feel that they can get away with offering lower-priced replacement vehicles to Land Rover owners? It is common knowledge that a wrecked high-end Land Rover can take up to 60 days to repair. A typical Loss of Use report for a Land Rover owner whose car is laid up for two months is in excess of $15,000.00. It is not necessary to actually rent a car in order to receive compensation for Loss of Use. Current Land Rover models include the Discovery, LR4 and Range Rover. All of these Land Rovers will lose value after collision repairs. Diminished Value can result in as much as 50% of the vehicle’s value lost, especially if frame damage or air bag deployment was involved. While “the older the car, the less it will suffer diminished value” is true, that statement can be misleading. While a 2008 Land Rover with a bad Carfax will lose less in value, percentage-wise, than a newer model, older cars can still be worth thousands of dollars less after accident repairs. Pay with credit card or Paypal. The fee for an Automobile Diminished Value Report is $275.00. You may also make your Credit Card Payment by telephone, call 772-359-4300.